Poland Spring water is among the preferences of its loyal consumers. With its Poland Spring delivery service, is now even more easy to obtain and enjoy. Poland Spring has been bottling and selling fresh, pure spring water from Maine for almost two centuries. They began as an inn in Maine, then Hiram Ricker found a delicious spring on the family property. He believed the water from the spring had such wonderful health benefits that he bottled it and marketed it as a tonic. Demand spread as the delicious, award winning water became internationally famous. Moreover, it soon became one of the first mass-produced bottled waters in the country. Poland Spring water is now owned as a subsidiary of Nestle company. Its water still comes mainly from the original spring in Poland, Maine but also seven other springs in that state. Nestle delivers Poland Spring brand water mainly in the far northeastern United States, with the exception of Vermont. Similar water deliveries can be made in other parts of the country. But all of this happens under other brand names like Ice Mountain, Zephyr Hills, Deer Park, Ozaka, and Arrowhead. Poland Spring offers in-home delivery for residential and commercial orders through their partner company, ReadyRefresh. Commercial orders can be customized for both large and small businesses, with varied pricing plans depending on the number of employees at the company. Poland Spring water is branded and distributed as part of the Nestle division of bottled waters in the northeastern United States. Home and commercial water deliveries are offered in these six states through the Nestle subsidiary company, ReadyRefresh. When you schedule a Poland Spring delivery for your home or office, you will first be given three options: Natural Spring in 3, or 5 gallon jugs, or Poland Spring Purified Water in a 5-gallon jug. You can then pick your preferred delivery option. A one-time delivery will be best if you prefer to stay in complete control of when the water will be ordered and delivered. For example, you may have an irregular schedule at home and are often out of town. Most homes and offices choose to have the water delivered each month under a recurring delivery plan. Every Week/ Two Weeks/ Month/ Two Months/ Three Months. The ReadyRefresh company distributes the Poland Spring water in the brand’s territory, and also rents out dispensers. Each time you order you have to pay for the jug according to the company pricing. 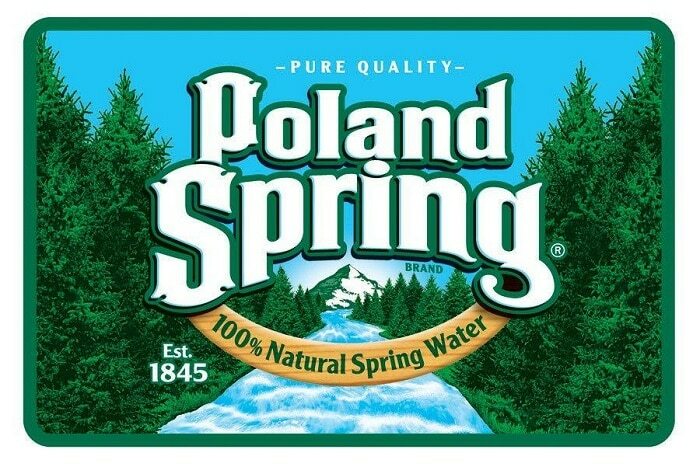 Poland Spring 3-gallon Natural Spring Water: $6.99/unit. There are three dispensers that you can rent on a monthly basis with a recurring order. Allure Series Hot and Cold Dispenser Stainless Steel: $3.99/month to rent. Paper Hot Cup 10oz (50/sleeve): $4.49 each. Account Deposit Fee $20.00. Covers the 3 and 5 gallon bottles, and is refundable if you return the bottles in reusable condition. ReadyRefresh, a subsidiary of Nestle, which also owns Poland Spring water, carries additional products everywhere they distribute the Nestle water brands. You can purchase these popular drinks along with your order: Acqua Panna; Nestea; San Pellegrino; Sweet Leaf Iced Teas; Tradewinds; Perrier; Nestle Splash. When you are ordering for a business, you can use the water calculator to see how many thirsty people will be using the jug per day. The ReadyRefresh site will then recommend an amount based on the ordering requests of similarly sized companies. For example, if a company has five employees and an average of 25 customers in the store per day, the calculator will recommend 6 5-gallon bottles per delivery to cover up their needs. Families can do the same, based on how many people are in the home. ReadyRefresh sells bottle racks for $39.99. They can hold up to three bottles, and save on storage space. Poland Spring delivery will bring fresh tasting, pure water to your home or business. Like other brands under the Nestle umbrella, they use a similar sliding scale of fees depending on delivery location, speed, and frequency. The brand covers six states of the northeastern United States, including the brand’s home state of Maine. For other states you will need to order a different brand local to your area. If you enjoy other Nestle drink products, like iced teas or San Pellegrino, you can buy and add them onto your deliveries. 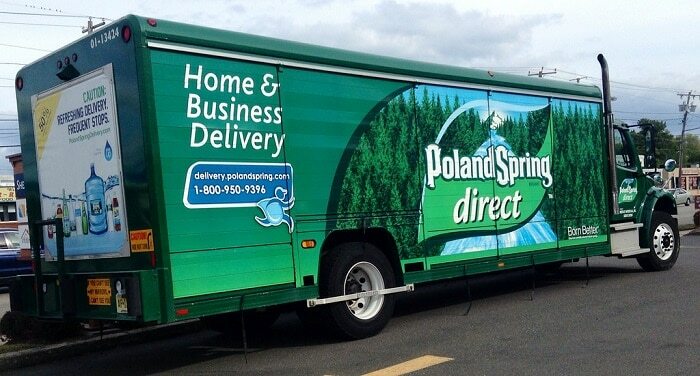 So if you want the convenience of home and office delivery from a major brand, the Poland Spring delivery will meet your needs. Hey Buddy!, I found this information for you: "Poland Spring Delivery 101: Areas, Hours, Fees". Here is the website link: https://all2door.com/poland-spring-delivery/. Thank you.